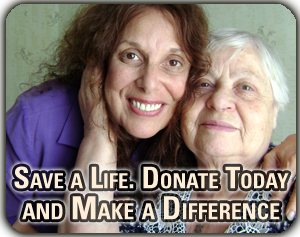 For the elderly Survivors in Ukraine, Moldova, Slovakia, Latvia, Lithuania, Russia, and Belarus, your help means life! They are the last generation of Holocaust Survivors and we are the last generation who can help. Be a part of the greatest rescue operation of the 21st Century. Who saves one life, saves the world entire. These elderly survivors, who have endured the darkest days of history and the worst that humanity has to offer, now give us the chance to be the best of who we are as a people. I ask you personally to become a rescuer and participate in this urgent humanitarian effort to help the last Survivors of the Holocaust in Eastern Europe.